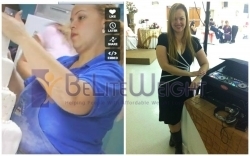 I converted from a Lap Band to a Gastric Sleeve and it has been very successful for me. I was so afraid to go to Mexico but Dr. Rodriguez and his team team are one of the best and most experienced Bariatric surgeons in the world.The Hospital was beautiful and the rooms were large and everything was so clean. My Faciltator Sylvia was extremely helpful every step of the way. I would recommend this surgery and BeLiteWeight to anyone.